Yoga, meditation, healthy Ayurvedic food combined with local (sea-) food and outdoor activities in West-Sweden’s nature form the basis for an energising small scale workshop that Lådfabriken offers. Together with Daniela Dörflinger-Bruggeman we will host you during this retreat. May 11 – 15 (2 places left) or May 15 – 19, 2019 (fully booked). Nature is all around and offers peace and quietness, big open skies and the vastness of the sea nearby. Plenty of space to explore nature and yourself in the peak bloom period May. 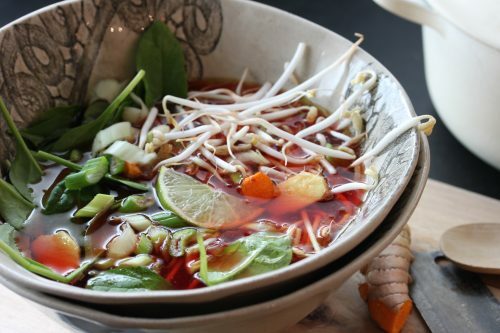 Cleanse and purify your body with pure air, clean seawater and nourishing vegetarian food. 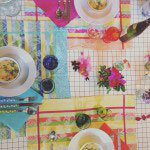 We offer a holistic, relaxed and varied program in an informal ‘style’. A typical day looks like this: wake up and start the day with a natural power drink, morning session of energetic yoga, breakfast, outdoor activity, lunch, relaxation, cooking and dinner. A good night’s sleep in one of the unique and creatively styled rooms. It includes exploring the beautiful countryside with guided activities that vary from hiking, biking, kayaking to a boat tour. Sometimes combined with outdoor yoga and lunch. May is the time that lilac and apple tree bloom and wild violets cover the islands in a purple glow. A sauna close to the seashore, meditations and an Ayurveda cooking workshop are also included in the program. Come and stay with us during the lobster season, starting each year on the first Monday after the 20th of September at 07:00. 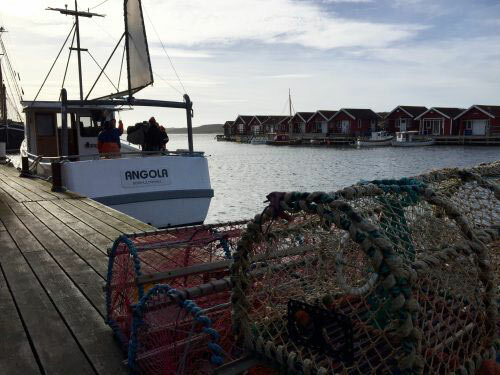 Capturing lobster and preparing it is an unbeatable world-class experience here in Bohuslän. So put on your warm clothes and good shoes and embark on the ‘Angola’ of skipper Erland. You can borrow security equipment and fishing trousers. You will help pull out the traps of the ocean, empty them, hold a lobster and thus learn how to fish the black gold of the sea. The boat departs daily from the steamboat dock in Edshultshall and the trip lasts 2.5 to 3 hours. This year, the first trip is September 24 and continues until the end of November. You sleep well and comfortably at Lådfabriken in one of the uniquely decorated rooms. Or stay with us and enjoy a lobster supper. This lobster adventure costs 1400 SEK p/p on top of the room price. Look here for more information. 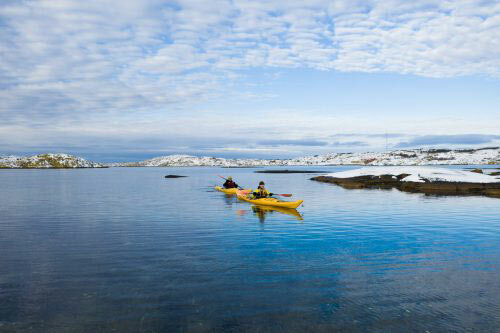 An exclusive and active sea-kayak adventure, in co-operation with Upplevelsebolaget, Bohuslän’s coolest outdoor company. 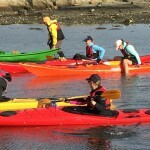 The west side of Orust offers one of the coast’s finest paddling areas. Here one glides among island gems like Mollön, Slubbersholmen, Måseskär and Hermanö. You are offered relaxing horizon feeling, seal spotting chances, sandy beaches and labyrinths of gneiss. You will also zigzag your way to some of Bohuslän’s most charming old fishing communities, like Gullholmen, Käringön and Mollösund. 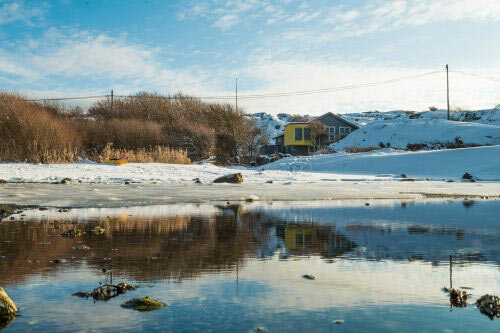 Lådfabriken is the ideal basecamp to discover the Skagerraks sea. 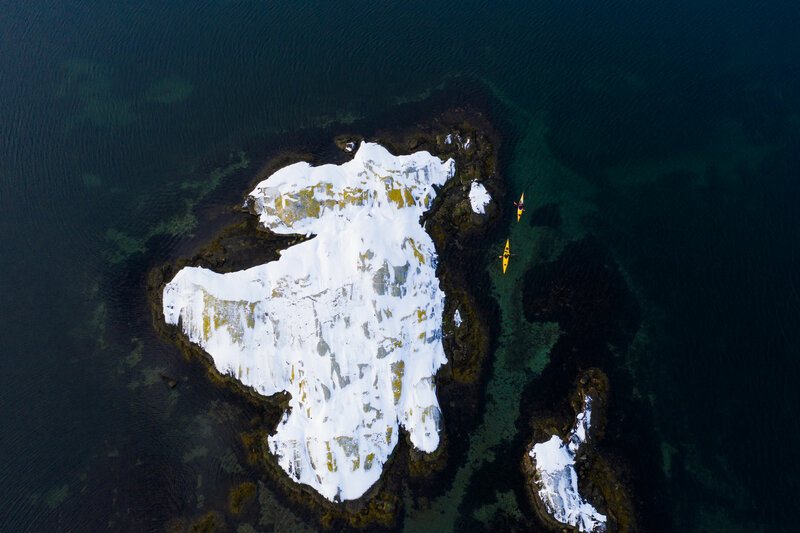 At the end of the days of exploration, the kayaks remain on the beach outside, while you wine and dine, tell stories and look over the horizons of Kråksunds gap. Price 7.500 SEK p/p, this includes all equipment, all meals during the tour (breakfast and two course dinner at Lådfabriken, packed lunch, drinks and energy boosts during the paddling), two nights accommodation in a shared double room, guidance and instruction. June 3-6 2019. Other dates upon request, minimally 4 persons. Book here or look at the website of Upplevelsebolaget. 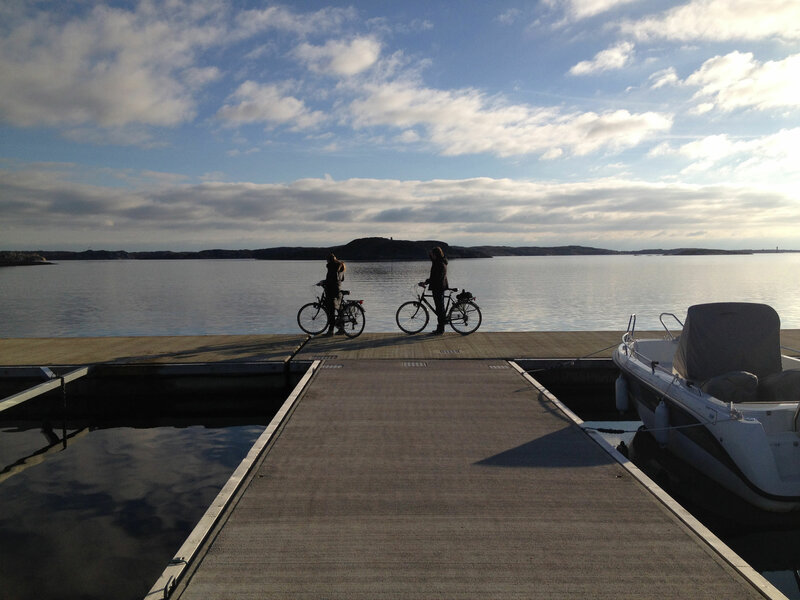 A three-day cycling package takes you across Orust from the west to the north-east, partly along the Bohuslän coastline. Stunning west coast scenery, quiet country roads and a stay in Lådfabriken and Slussens Pensionat. Let the variation in landscapes mesmerise you, this tour is of a recreational character with short slopes and gradients up to 100 meters. Some cycling experience is beneficiary however not necessary. alternative route: Lådfabriken – Hälleviksstrand – Malö– Flatön –Vindön – Slussen (52 km) The ferries to the islands (Malö and Flatön and back to the mainland to Dragsmark’s monastery) back to Orust via Vindön and through the forest to Slussens Pensionat. Bookable between May 5 to September 15. Average price from 3.700 SEK p/p, based on a shared room, incl. two nights stay, two diners, a music concert and a bicycle (plus helmet, map and cycle-bag). Contact us if you are interested in this package. 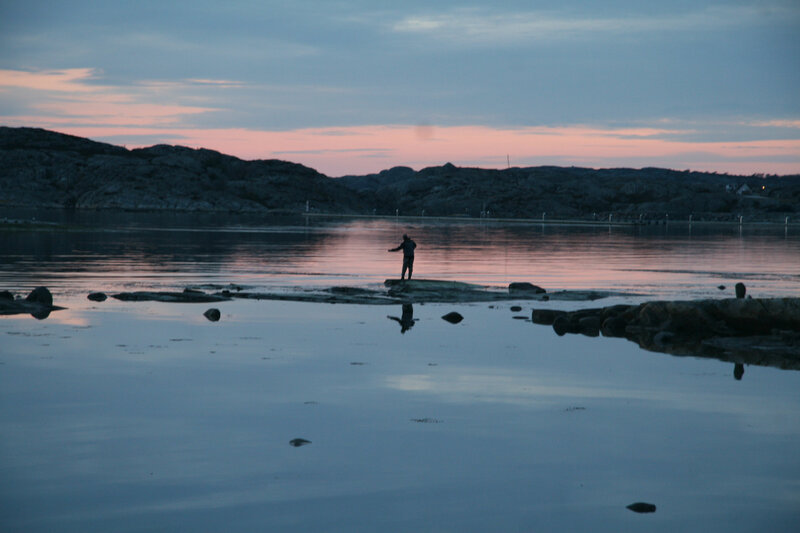 Enjoy your stay here and discover that the Bohuslän coast offers an abundance of great sea fishing opportunities and deep water angling straight from the rocky shoreline. 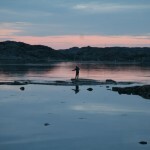 Fishing in the coastal waters of the archipelago, is an angler’s dream. Try your luck fishing for catfish, cod, hake, mackerel, garfish and sea trout in the Skagerrak Sea. The west coast is particularly famous for its seafood, that’s why we also offer a lobster fishing tour and seafood diners. Sea fishing: stay one night in Lådfabriken and go out on a boat early the next day day. A three-hour fishing trip includes instruction and use of life vest. Fishing gear can be arranged. Crab fishing: this two hour fishing trip can be done in the months June, July and August. Seal safari: stay a night over and board for 1,5 hours to where the Bohuslän seals favorit rocks lie; out in the Skagerrak waters near the island Käringön. The seals sunbathe on the rocks or stare at you as they bob their heads above the surface of the sea. Newborn pups can be seen at the beginning of summer. Treat yourself to an extraordinary experience during late autumn, winter or early spring when you can be almost alone in the archipelago. In cooperation with Balanspunkten, you paddle through the archipelago from the island Skaftö to Orust. You paddle while the day is light and will land in the afternoon after a beautiful kayak tour through the stunning and silent archipelago. Nature’s spectacle provides the preconditions. The tour starts in Grundsund on Skaftö with Balanspunkten and is bookable every Saturday until the end of March. Christina Ingemarsdotter guides you south to Lådfabriken in 4-5 hours. There you will eat a dinner made of local produce and sleep well in one of our rooms. 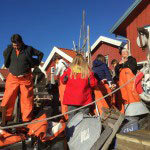 Take a shorter or longer trip on Sunday, eat lunch and get a fishing boat back to Grundsund on Sunday afternoon. The price of SEK 2,400 includes paddling, guide, accommodation, breakfast and lunch, boat pick-up, Costs of dinner is not included. You can choose from a fish- or shellfish menu. Interested? Please mail us or call us +46 304 52100 on the intended dates, dinner choice, special diet or allergies. Or book here.